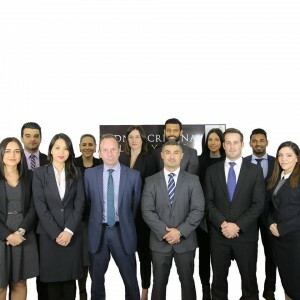 Posted November 13, 2018 by Sydney Criminal Lawyers & filed under Criminal Law, NSW Courts. In the early hours of the morning on 8 March 2016, Mr Buddee was asleep in his house in NSW, when he was woken up by his wife’s screaming. Mrs Buddee cried out as she’d become aware that an intruder was trying to break into the house through a screen door. The startled offender took off. And once Mr Buddee was aware of what had taken place, he grabbed a torch, got into his car and drove down a neighbouring street looking for the burglar. He then spotted Michael Sahartor crouching behind a small brick wall in the front yard of a house. Mr Buddee backed off. Mr Sahartor then turned and ran away. And he was subsequently apprehended by police soon after. Mr Sahartor appeared in the NSW District Court in April last year facing two charges. The first was attempted aggravated break and enter into a house with intent to steal, contrary to sections 113(2) and 344A of the Crimes Act 1900. The maximum penalty for this offence is 14 years behind bars. The defendant was also up for one count of being armed with a weapon with intent to commit an indictable offence, contrary to section 114(1)(a) of the Crimes Act. The offence carries a maximum penalty of 7 years imprisonment. The indictable offence relied upon was stalking or intimidation which is contained in section 13 of the Crimes (Domestic and Personal Violence) Act 2007. The definition of intimidation is contained in section 7 of that Act. Mr Sahartor put forth that he wasn’t the person who tried to break into Mr Buddee’s house. And in regard to pulling the knife on him, Sahartor claimed that it was an act of self-defence, as he’d been set upon by another man for no reason. The Crown argued that Mr Sahartor had attempted to break into the house and that he couldn’t therefore claim that he was acting in self-defence, because he was actually trying to intimidate his pursuer in order to escape from a crime scene. On 6 April last year, the jury found Sahartor guilty of being armed with a weapon with intent to intimidate. However, the jurors found there was not enough evidence to prove he was the intruder and he was acquitted of the attempt to break, enter and steal charge. And on the following day, NSW District Court Judge Chris Craigie sentenced Sahartor to 1 year and 6 months prison time, with a non-parole period of 1 year and 1 month. By the time Mr Sahartor filed his notice to appeal his conviction on the 1 May this year, his prison term had expired. However, he was still in custody in relation to another matter, which he was yet to appeal. And if this current appeal was successful, the start date of any subsequent sentence could be affected.  Mr Sahartor appealed his conviction to the NSW Court of Criminal Appeal (NSWCCA) on 3 August this year. However, due to a last minute change to his representation and a revised set of grounds of appeal, the proceedings were adjourned and the matter was dealt with via written submissions. The first ground of appeal related to the sentencing judge suggesting to the jury that although neither side had put forth the case for Sahartor being found guilty of the intimidation charge and innocent of break and enter, it was still open for the jury to make this finding. Sahartor’s criminal defence lawyer claimed that the judge made an error because he gave no justifications to support such a finding. However, NSWCCA Justice John Basten found that complaint wasn’t supported as the judge did set out circumstances that might have supported this conclusion later in his summing up. The final ground of appeal was that the verdict was unreasonable. Justice Basten explained that in regard to the weapon charge, the jury was asked to consider whether Sahartor was being intimidating or defending himself. And if he was found innocent of break and enter, the conclusion would be that he was being “wrongly accosted” by Mr Buddee. For this reason, his Honour stated that the verdict was indeed unreasonable, and must be set aside. And NSWCCA Justices Robert Hulme and Peter Hamill agreed with Justice Basten’s conclusions and that the intimidation conviction should be quashed. Justice Hamill then addressed the second and third grounds of appeal. These both related to a miscarriage of justice having been carried out in relation to the sentencing judge advancing a new “basis for liability” in the summing up, which the prosecution hadn’t relied upon. At no time had the prosecution argued that Mr Sahartor might be innocent of the burglary charge, but guilty of intimidation. However, the sentencing judge brought up this possibility during his summing up and then told the jury that it was open for them to come to such a conclusion. According to Justice Hamill, raising an argument concerning a new “basis of criminality” for the first time in the summing up means that an accused has no opportunity to defend themselves against the claim. And this can amount to “a most significant area of prejudice”. “The direction was not legally incorrect,” his Honour explained. However, in this case where the judge did raise the matter, he should have given a strong warning to the jury as to why it would be inappropriate to consider it, as the accused had no chance to defend himself against it. “The judge should have gone so far as to advise the jury that it would be dangerous to convict on this alternative basis of liability in circumstances where the applicant was approached in the street by a man who was agitated and upset,” Justice Hamill made clear. And his Honour upheld the second and third grounds of appeal. On 19 October this year, the NSWCCA three justice panel ordered that the appeal be allowed and Mr Sahartor’s intimidation conviction be quashed. Their Honours further ordered that an entry of acquittal to count 2 be entered to the indictment dated 3 April 2017.